We Live In A Political World: #187 / What's The Plan? #187 / What's The Plan? I am a fan of “planning,” since I believe that we actually create the world in which we most immediately live through the actions we take, and that we can, in effect, “legislate” our own future by writing down, and then following, specific directions that we believe will take us in the direction we want to go. We can, in other words, “make things happen” in the way we choose, and we don’t have to let things “happen to us.” Land use planning is definitely a model of how properly directed human activities can help us create the kind of world we want. Land use and other “plans” that we adopt at the local level are intended to guide future growth and development, and really do represent a community’s “vision” for the future. Local agencies, though, quite typically modify their plans to accommodate specific development proposals that are totally inconsistent with the plans that the agency has adopted. This just happens to be how things often work. Obviously, agencies that modify their plans to facilitate proposed development projects that are inconsistent with those plans, really undercut the integrity and meaningfulness of the plans themselves. In fact, if the plans are “made to be broken,” which is what some agencies seem to believe, it’s hard to get members of the public interested in spending their evenings and weekends in planning workshops and public hearings. During the time I was the Executive Director of LandWatch Monterey County, I found this problem to be particularly frustrating. Monterey County has a long history of “planning” on a case-by-case basis. That really does pose a dilemma for those who are urging local residents to get involved in the planning process. Still, our plans do represent a written down statement of what we want to do, and of what kind of community we want to have. 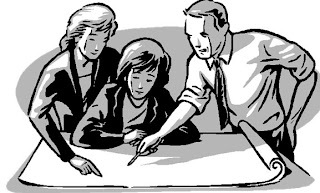 Despite the problematic nature of “planning,” I still think we are better of with it than without it, but we can insure its integrity and effectiveness only if we get personally involved.